“Everyone’s wearing green! It’s GOT to be Green Iguana Day!” says Dudley Dewlap. Have you noticed that at this time of year, people celebrate a mid-March holiday by wearing green clothes, hanging green decorations, and eating green foods and drinking green beer? 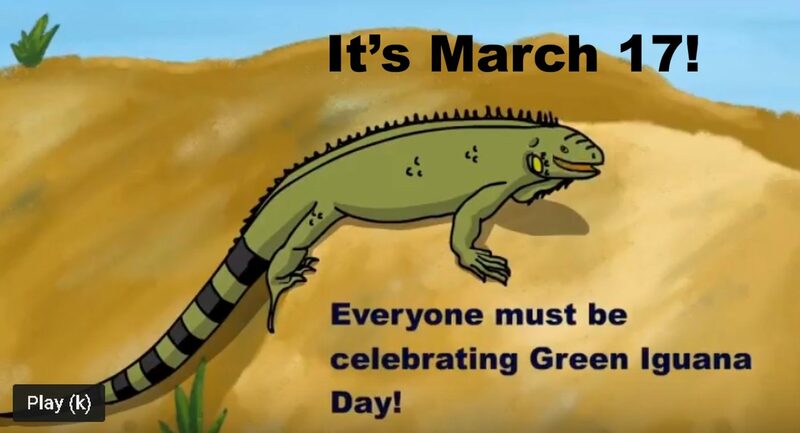 They must be celebrating Green iguana Day! Dudley Dewlap, a green iguana (of course!) 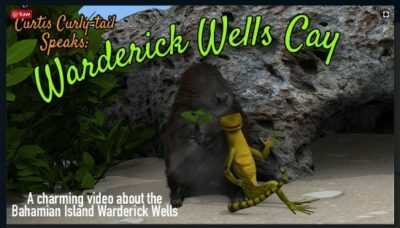 explains all about Green Iguana Day, on Curtis curly-tail’s YouTube Channel. To learn more about these fascinating big lizards, see our 30-page downloadable Supplemental Workbook, My Unit Study on Iguanas.